WILMINGTON — Diana L. Groves, clerk to the Board of Clinton County Commissioners, has been selected by her peers to serve as president of the Executive Board of the County Commissioners Clerks and Engineers Administrative Professionals Association (CCC/EAPA) for 2019. Groves, who served as vice president to the Executive Board in 2018, was sworn in as president at the County Commissioners Association of Ohio / County Engineers Association of Ohio Winter Conference on Dec. 11, 2018. CCC/EAPA members come from all 88 counties in Ohio, and the organization was established in 1951. Its primary purpose is to better serve the people of Ohio by reviewing various duties and procedures, providing a relevant clearinghouse of information and networking opportunities for members, and promoting legislation that supports the maintenance of a well-organized and efficient office. Groves began working for Clinton County in 2010 with the Board for County Commissioners. She was then appointed to her present position in 2010. 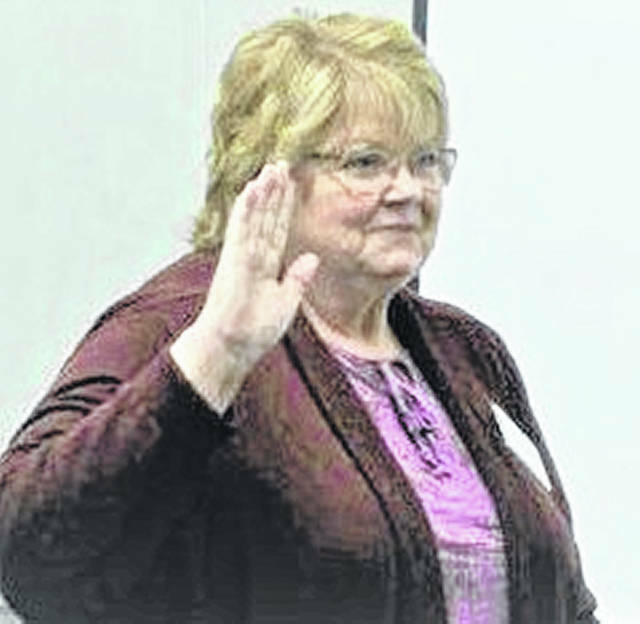 Other activities she is involved in are the CASA (Court-Appointed Special Advocate) volunteers for the Clinton County Juvenile Court and she is a member of the Clinton County Women’s Group.